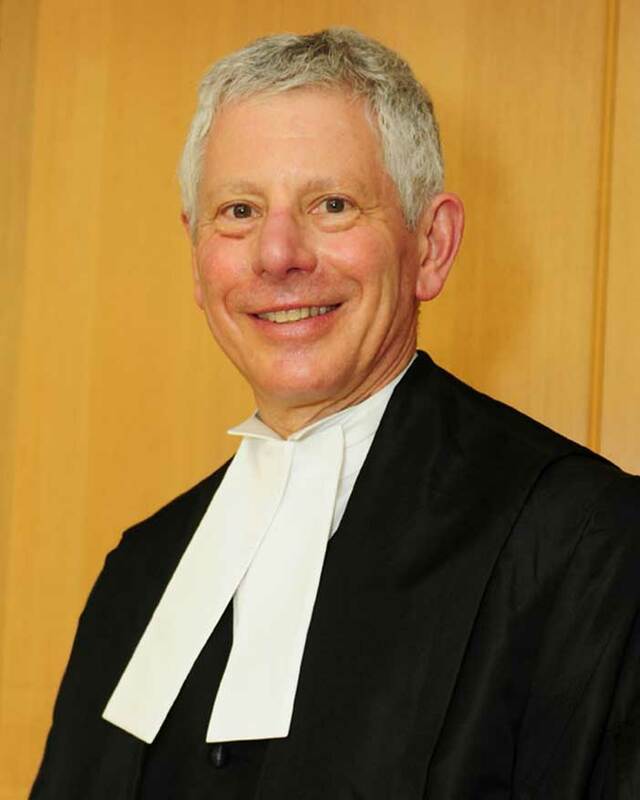 We are so pleased that Justice Barry Leon, High Court Judge for the Commercial Division of the Eastern Caribbean Supreme Court in the British Virgin Islands recently took some time to answer a few questions for us regarding life in the legal industry, life in the Courts, and life in the BVI! WHAT INSPIRED YOU TO START YOUR LEGAL CAREER? Try as I might, I cannot recall how the idea of becoming a lawyer entered my head. I am the first lawyer in my family. My Father worked in the men’s wear business in Edmonton, Canada. I worked as a salesman in the business part-time during high school years and while doing my undergraduate Arts degree. It was as a salesman that I learned how important customer service is – not just in retail but in every field including in law, and as I now appreciate, as a judge. My Mother went from working as a stay-at-home Mom to working as a pioneer women’s fitness instructor and then to working as a life and disability insurance agent. I recall my first real exposure to the work of a lawyer. A leading lawyer in Edmonton (where I was born and grew up) took me with him to observe a hearing at a mental health institution to determine if a person detained there was fit to be released. When decision-time came, I was torn between law school and business school to take an MBA. I chose the MBA route, still with law at the back of my mind. Then, as I was reaching the end of my MBA, I decided to apply to law school. After me, both of my brothers became lawyers. My brother Jeff is a senior litigation partner in Toronto with a large Canadian based firm (and will become President of the American College of Trial Lawyer in 2018). My brother Lawrie is the senior name partner in a boutique law firm in Calgary. Jeff’s daughter also followed the law route, and now practises in New York. Striking out from the pattern, Jeff’s son has gone into the business world. WHAT PIECE OF ADVICE HAVE YOU RECEIVED THROUGHOUT YOUR PROFESSION THAT YOU FIND MOST VALUABLE? Actually there are a few pieces of advice that I would like to mention. Each has value. Yogi Berra said “when you come to a fork in the road, take it.” No matter how much one plans his or her life, one’s life changes because you happen to go left rather than right, happen to linger somewhere longer than planned, or happen to sit beside a stranger on an airplane – I suspect everyone reading this interview has had the experience. My Mother would say “when God closes a door, He opens a window.” Time and time again, that seems to be proven true, whether in big ways or small ways. Someone unknown said when I was young “there is hot tea and there is cold tea but the best tea is loyalty”. There are those people in life who you can count on, no matter what. And there are people who can count on you (or in my case, on me), no matter what. Sometimes quietly in the background. And then, of course, sadly there are some others who cut and run when you need support of one kind or another. I try hard not to be in the latter category. Someone known said to me more recently, whenever I was about to do or say something that may not have been the right thing to do or say at the time, “What’s your objective?” That is something all of us should add to our repertoires, including judges and counsel. And finally, “do unto others as you would have them to do unto you.” For many years in my former law firm I had management roles. I tried to follow that wisdom in managing people. Too often someone winds up in a management role of one kind or another and then forgets (or fails to learn) how to deal with people. Of course this applies equally, if not even more so, to judges. “Judgitis” is not pretty. Those people who do not live by this precept, as talented as they may be, will never reach greatness and will never be remembered with respect or fondness. Each of us needs to look in the mirror long and hard on this one. WHAT DO YOU MOST ENJOY ABOUT BEING A JUDGE? WHAT IS YOUR LEAST FAVOURITE ASPECT? I enjoy the interaction with counsel in the courtroom. The Commercial Court is fortunate to have talented counsel appear regularly, both counsel who are resident here (senior and less senior), and counsel who come here from London and occasionally elsewhere. But even more satisfying is handing down a judgment in a case where a party has been treated badly by the person on the other side for longer than should ever have been the case, and finally gets vindication – finally gets justice. While one might think those parties are claimants, that is not necessarily so. As for my least favourite aspect, I find that unnecessary and unproductive acrimony, game playing, sharp practices, discourtesy, and incivility occurs more often than it should. Those ways of behaving are not okay (even if those ways of behaving have infected some politics of late) and those ways of behaving are not effective. Those who behave that way do a disservice to their clients, to their colleagues and firms, to their professional and personal reputations, and to the justice system. In my experience, the most effective advocates are those who conduct themselves towards counsel opposite with courtesy and civility. YOU MADE A COMMENT IN 2015 TO BUSINESS BVI ON THE HIGH WORKLOAD OF THE COURT AND THE DELAYS IN GETTING APPOINTMENTS AND THAT YOU WERE INTRODUCING A PROCEDURE TO TRY AND RECTIFY THIS. HOW IS THE COURT HANDLING THE WORKLOAD IN 2016? DO YOU BELIEVE THIS HAS BEEN A SUCCESS? In that September 2015 interview I said that the Commercial Court was very busy; the delay in getting appointments for hearings was greater than it should be; and the volume of the Court’s work was significant, meaning that things did not proceed with the speed at which I would have liked them to proceed – and the speed that I thought counsel and clients would have liked them to proceed. I stated that the prior six months had been busier than the Commercial Court had ever been. The delay in getting appointments for hearings was longer than it had ever been and that the delay created ‘trickle down issues’ for urgent matters. I explained that we had been hearing urgent matters on Fridays, which is supposed to be the day for judgment writing, and before the regular Court sitting on other days of the week. And we heard urgent applications through the Court Vacation period (August through mid-September) when we were sitting all day on almost every day I was in the Territory. The welcome appointments of a series of Acting Commercial Court Judges made a real difference to our judicial capacity, and in turn, to our hearing capacity. As I said publicly this September in my Address at the Special Sitting of the High Court in the Virgin Islands for the New Law Year, last law year we benefitted from the services of five short-term Acting Justices. It was a privilege for me to work with, and share ideas with each of them. Each brought his own special contribution to the Commercial Division, and to the jurisdiction as a whole. This term we have two Acting Justices in the Commercial Division – again their presence is a terrific benefit to the Court and to me. As with any new Judge, when I first started there was a learning curve. My predecessor, Justice Edward Bannister, did a tremendous job getting the Commercial Court started and established. By the time he left, litigants and the bar had the benefit of his six years of experience as the Commercial Court Judge. When I started, I came to a mature and active Commercial Court that was very busy, as I told you earlier. I hit the ground running. Yet there was a learning curve. We do not have the benefit of the kind of orientation and mentoring of a new judge that exists in London, Canada and other places, and which judges I know have found so important. One of the benefits for me of the Acting Judges coming here was witnessing that even arriving from London where laws and procedures are similar, there were some areas of the Commercial Court’s work that were new to them, and that I was able to assist them in certain areas of our law and procedures. It became clearer to me that it is part of coming new to the job here. I have an extensive background in commercial and company law in Canada, and in arbitration. Still, I had to familiarise myself with what for me were laws that were similar but different, many different procedures and practices, and my new role as the Commercial Court Judge, all the while hearing a full list of matters. So some things no doubt took longer than had been the experience. I believed strongly – and to this day believe – that I have an important duty to do my best to get things right. Standing back, I believe I accomplished this and fulfilled my duty, while gaining knowledge, experience and efficiency. From my perspective, and from the statistics I have seen, the Commercial Court was very busy in the first 6 – 8 months of 2015, starting before I began sitting in mid-March 2015. I heard from the outset that those involved with the Court in BVI considered over the prior couple of years that the Commercial Court job had become at least a one and one-half person job if not a two-person job. In my first six – eight months on the bench there was a steady stream of urgent matters, usually brought ex parte. The result was that Fridays, the judgment writing days, became hearing days. Urgent matters often mean not just one extra hearing but two – the longer return date inter parties hearing being the second. The steady stream of urgent matters continued into the Summer Court Vacation of 2015. So that brings me to the subject of reserved judgments. Notwithstanding the many judgments that I handed down in my first six-eight months, the number of reserved judgments slowly crept up. Understandably counsel and parties were anxious for their judgments. Nobody was more conscious of that than me. Nobody worried about that more than me. I was working hard, I can assure you. I think it is important that I speak to you openly about that. I was very much aware of my reserved judgments. Yet when a certificate of urgency appeared on my desk, almost always there was true urgency. I elected to hear the urgent matter – it seemed the right thing to do. I have no regrets about each of those decisions. As your question highlights, I raised the need for assistance within months of my arrival. Also I raised the need for a Judicial Assistant, which was agreed to and approved. A good Judicial Assistant with the right background, experience and aptitude can increase efficiency and reduce materially the time needed by a judge to deal with numerous things, right down to assisting with case law and with documents and other evidence. I very much appreciated the Chief Justice making arrangements for the Acting Judges so that I could work on outstanding judgments, and on judgments in matters that I heard while I was focused on finishing reserved judgments. Going into the end of the term, I had finished and handed down all judgments, including the judgment in a trial that concluded in late May of this year. That may be a long answer to your question but it is an answer that I am pleased to have been afforded the opportunity to provide. What I have said publicly before now, including in my Address for the New Law Year (which I am pleased has been widely reported, and even reprinted in full in the popular and business media) is that I am fully committed to the success of the Commercial Court – and fully committed to the best interests of the Virgin Islands. Also, as I said in that Address, we are at a time where we have an opportunity to take the BVI Commercial Court to a new and higher level. With real imagination, creativity and innovation, we can be at the forefront of commercial courts in the world. Having just returned from a meeting in Singapore of judges from 10 leading commercial court jurisdictions (Australia (Federal Court and New South Wales), Canada (Ontario), Cayman Islands, England and Wales, Hong Kong SAR (as an observer), Singapore and the United States (Delaware and Southern District of New York) I remain convinced of this. We can move the Commercial Court to a higher level on a financially self-sustaining – and if we chose to do so, on a profitable basis. We can contribute more to the Territory’s economy – financially and otherwise – both directly, and more importantly, indirectly. In the new reality of international commercial dispute resolution, we must do so. Our goal should be to enhance and expand BVI as a primary Global Commercial Dispute Resolution Centre of choice. To assure the position of the Commercial Court as a leading – if not the leading – commercial court in the world, we should look carefully at a range of possible innovations and enhancements for the Commercial Court, and the laws of the Territory, in at least 10 major areas, each of which I noted in my Address. TECHNOLOGY HAS REALLY ADVANCED THE COURTROOM PROCESS, WHAT INNOVATIONS DO YOU THINK SHOULD BE ADOPTED IN THE BVI I.E. INTRODUCTION OF E-FILING AND AUDIO VISUAL AIDS? As I mentioned, I recently returned from a meeting in Singapore with commercial court judges from 10 leading commercial court jurisdictions. Technology was not the main topic (rather, it was developing Guidelines for court to court cooperation and communication in cross-border insolvency matters, including the possibility of joint hearings as occurred between Canada and the U.S. in the Nortel Networks bankruptcy). However, we were fortunate to have judges with experience in the use of technology in court proceedings. Nortel was essentially a paperless trial and it involved sophisticated audio-visual technology for a hearing that occurred simultaneously in Canada and the U.S., and real-time court reporting. Also we were shown one of Singapore’s five “technology courtrooms”, which is impressive. In BVI, we need to be welcoming of the use of the most-current technologies where they can assist us in functioning more efficiently and extending our reach. To provide a specific answer, I see as a priority the move from large paper bundles to having at least all non-core documents filed and used in electronic form only (in most cases). Vast paper bundles, perhaps 90% of which are not looked at during a hearing, need to be done away with. We need to solve the transcript situation, which I hear about regularly. We need to figure out how to generate the transcripts we need, in the formats that are needed, and within the times in which they are needed. The solution may not be a ‘one size fits all’ approach. The purpose of the transcript in a particular case may determine the type of transcript and the timing. Also we need to be able to make available real time reporting where needed. There may be an opportunity to work with the BVI International Arbitration Centre on these kinds of issues. Also we need best-in-class Wi-Fi in the Commercial Court. The service is unacceptably poor. The fix should not be expensive. I cannot speak to the need for e-filing, which you raised, in a jurisdiction of this size. The Registrar, the Deputy Registrar and legal practitioners are closer to this issue than I am. WHAT ARE YOUR HOBBIES? WHAT DO YOU DO TO RELAX? My main activities here have been walking and running. On my ‘to do’ list, since before I moved here, is to get back into tennis. I walk early on Saturday mornings with the Saturday Morning Walkers. Not only is it good exercise but the members of the group – people like Elton Georges, Bennet Smith and Reynell Frazer – have provided me with terrific insights into the history and culture of the Virgin Islands, and many others have provided me with insights into what goes on here in sectors that I would not otherwise encounter. I have met wonderfully talented younger people who work in a wide range of sectors of the economy and government. As for running, there are no secrets. The results of each run are published in the media. There is no way one can hide how long it look to complete the run. Despite running way back in their dust, it is awesome to be in a race with BVI’s elite runners. It is wonderful how the runs attract people of all speeds, sizes, shapes, ages and levels of fitness. I relax, like many do, enjoying the amazing scenery in the Territory, almost everywhere one turns. From my windows and my deck, from beaches, from roads, and from the water. I relax enjoying the food and drink at the restaurants on Tortola and nearby islands, often with people from a wide range of walks of life. And like many people in downtown Road Town and beyond, regularly I relax (and in the mornings, get going) with a Café Americana from Island Roots.